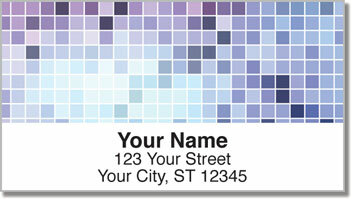 Tiny tiles in four eye-catching colors create a fantastic finishing touch for antying you send out in the mail. It's the perfect way to personalize letters and packages with somethign that adds a little life to plain white envelopes and boring boxes wrapped in brown paper. 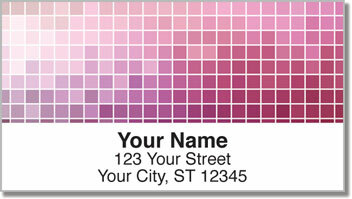 This design is clean-cut and professional while still allowing you to show some imagination. 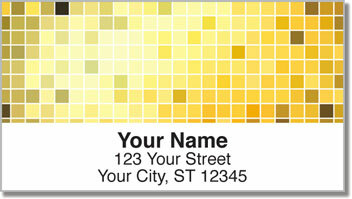 Stick them on all your outgoing mail to save time and eliminate the hassle of writing out your return address. It's easy thanks to a convenient, self-adhesive backing. 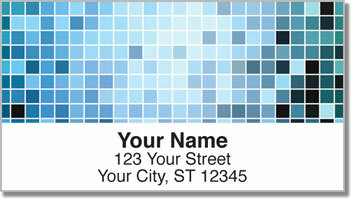 Order your very own Digital Mosaic Address Labels today! Get them with matching personal checks.